I was one of over 2,000 people at the 43rd annual international Waste Management Symposium (WMS) held in Phoenix, Arizona recently, representing 30-plus countries. One of the most notable features of Phoenix was this strange orange ball in the sky emitting ridiculous amounts of heat. The reason we entertained this heat was that this event connects people from different organisations in different countries, all seeking solutions to deal with radioactive waste and materials. We share our progress and learn from others. Over the years, WMS has become the place to do business. 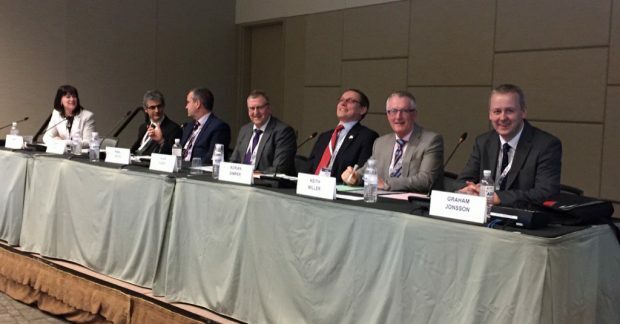 It’s not just about presentations and panel sessions, but about bringing together a large proportion of the global nuclear clean-up businesses, enabling many valuable meetings. Some are planned, some are just fortuitous. 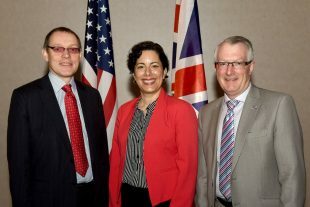 In this spirit of sharing, I joined representatives from UK’s Nuclear National Laboratory and the US Department of Energy at one of our bi-annual meetings to discuss collaboration under the bilateral agreement. Separately, we also held a meeting with AECL of Canada to discuss collaboration under that bilateral agreement. This year, there was a large contingent from Japan which was the featured non-US country. The latest developments at Fukushima Daiichi were outlined for us by Hirohode Hirai, from Japan’s Ministry of Economy Trade and Industry. I joined the panel on “Global Support for Fukushima Decontamination and Decommissioning and Clean-up” and gave examples of the UK’s ongoing support. Our Japanese colleagues emphasised the revitalisation of Fukushima, support for Japan’s nuclear energy programme its contribution to the global nuclear debate. Korea also held one-to-one sessions on its upcoming decommissioning programme. Germany has recently established a new waste management organisation that is setting out on a site selection exercise for the country’s heat-generating waste. Stefan Wenzel, from Lower Saxony’s Green Party, took part in a session on the “Future of consent-based disposal siting and discussion of the alternatives”. We also heard from the UK’s Tom Wintle, Deputy Director for Small Modular Reactors, Nuclear Decommissioning and Waste in the Department of Business, Energy and Industrial Strategy. It was a great pleasure to share our NDA experiences -it’s clear to me that we are, and are seen to be, a world leader in decommissioning redundant nuclear facilities. There were many UK presentations, panel and poster contributions from around our estate, as well as from government, regulators and contractors. I joined other UK colleagues in a session on Legacy Ponds and Silos, chaired by Graham Jonsson of Sellafield Ltd, and in another panel looking at Canadian experiences. Proceeds from the non-profit making conference are ploughed into worldwide educational initiatives in waste management, largely through scholarship awards. Last year’s conference generated 19 graduate and undergraduate fellowships – 4 for UK students. The conference encourages young professionals, and there was excellent UK representation from the Southwest Nuclear Hub and the Universities of Leeds, Manchester and Sheffield. 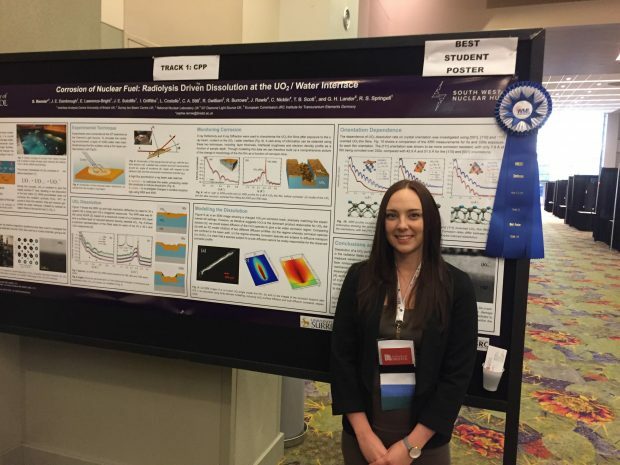 It was good to see Sophie Rennie from the University of Bristol win this year’s best student poster competition for work on the corrosion of nuclear fuel, continuing last year’s UK success by Sellafield-sponsored nucleargraduate Hannah Patterson. Panellists emphasised the need for girls (and boys) to seek out leadership situations at every age, never say never because comfort levels change after experiencing different situations and maturing. There will be no featured country next year, as the main ones have already been covered. So the featured topic will be “robotics and remote monitoring systems used in decommissioning and clean-up”. We’ll be working with UK partners to ensure that our capabilities in these areas are well represented.